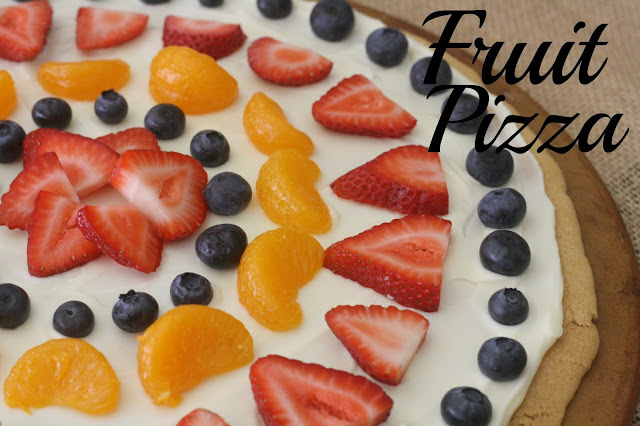 Just in case you don't already have a fruit pizza recipe, I'll tell you mine. 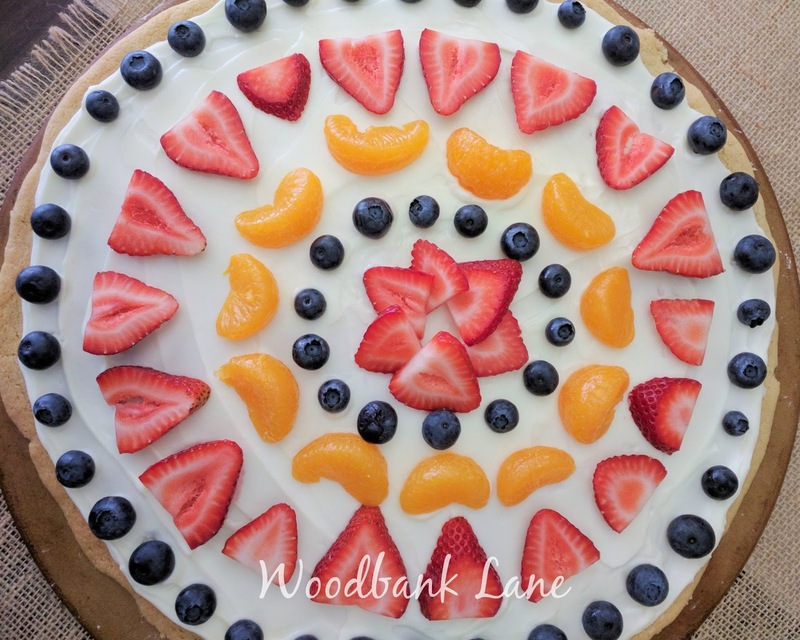 My husband loves fruit pizza, and I haven't made it in a good while. So last week, I threw one together for him (and me, of course!). It's easy and so pretty when you get finished! Preheat the oven to 375 degrees. There are two ways to create the crust from the cookie dough. I put the entire roll of softened dough in the middle of my pizza stone and rolled it out. 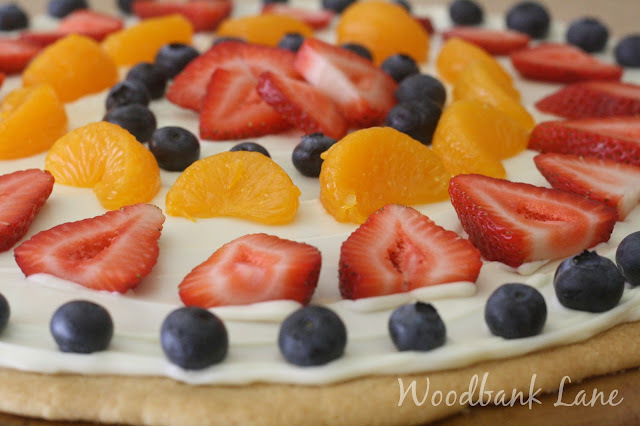 You could also slice the dough as if you were making cookies, spread them on the stone or pizza pan, and pinch all the sides together. Bake for 12-15 minutes or until the dough is just browning. 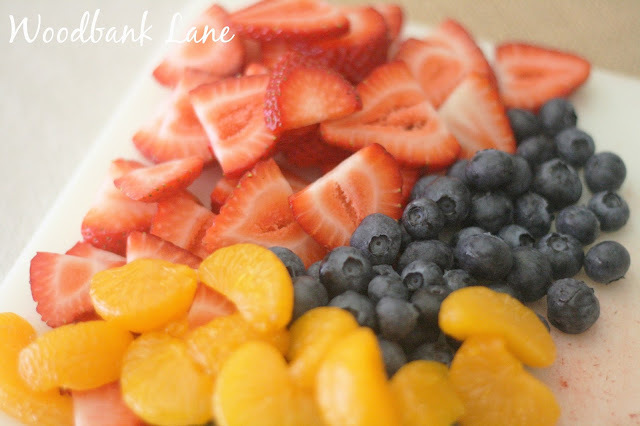 Wash and prep your fruit. Mix the marmalade and water, and glaze the fruit (I skipped this part). Chill and serve--or eat immediately like we did!